Shires Oak Buildings was established in 2004 by Rob Ainscow. Rob has previously worked for one of the biggest oak framed house builders in the UK. 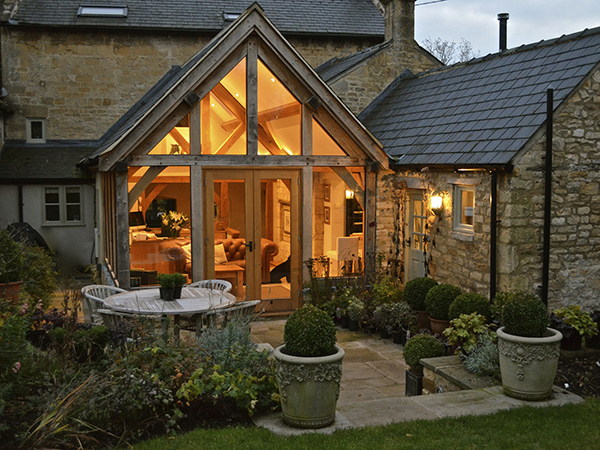 The intention of Shires Oak Buildings is to provide a more complete, unique service to customers, delivering excellence in design and construction of oak frames from the initial concept to the grand completion. In 2005, Rob Baldwin joined the Shires Oak Buildings’ team as managing director. Rob brought an invaluable skill set and wealth of knowledge from his 40 years of hands on experience in the construction industry and an intimate knowledge of oak framing. Rob Baldwin very much leads by example from the front and Shires Oak Buildings achieves the exceptional high standards and commitment from all the team. The comprehensive project package offered by Shires Oak Buildings is built on four key values of experience, trustworthiness, reliability and versatility. Shires Oak Buildings has a substantial amount of experience in the industry. Since 2004, we have worked with hundreds of clients on a huge range of diverse projects. Shires Oak Buildings believe trustworthiness is key and delivering high quality work to a great number of customers has earned us a first class reputation. The hard working team are reliable and hands on throughout the process, whilst being dedicated to supporting their clients. Finally, Shires Oak Buildings are confident we can build you something beautiful that fits perfectly with your requirement. The Shires Oak Buildings’ team are experts in all aspects of the design and build process. We pride ourselves that you will feel confident in our ability to start and finish your project. The team is happy to discuss your needs in full, producing 3D models and drawings to help visualise your new oak framed building. We are happy to go the extra mile and submit planning applications to save you the time and headache, and provide a relaxed experience for you throughout the development. After that is all sorted, we will manage the completion of the groundworks, or if you choose to, we can work closely with your own contractors. Our skilled team will then assemble the oak frame ready for roofing. Due to our experience in civil engineering and roofing as well as oak frame construction, we are delighted that 80% of our projects are what we describe as ‘complete works’. Shires Oak Buildings really can do it all. If you’re looking for a completely hassle-free build please do not hesitate to call on 01926 612812 or email info@shiresoak.co.uk. We are always excited to help with your ideas.